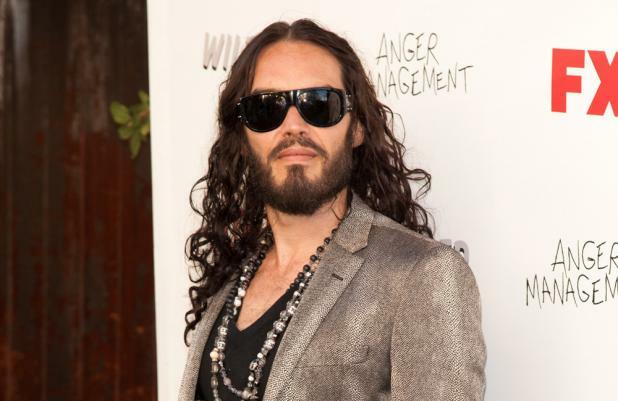 Russell Brand is desperate to appear in the new 'Star Wars' films. The British comedian-and-actor - who has starred in 'Forgetting Sarah Marshall', 'Get Him to the Greek' and 'Rock of Ages' - would love to create a legacy for his future children by playing the role of a Jedi, but admits he would prefer being villain Darth Vader. He is quoted by The Sun newspaper as saying: "Why wasn't I invited to play Darth Vader? I could be a Jedi! Why have they not invited me to participate? "I'd do anything like that - to be a Jedi for the children. As yet unborn." A source revealed earlier this week Harrison Ford, Mark Hamill and Carrie Fisher, who played Han Solo, Luke and Leia in the three original 'Star Wars' movies, are "open" to the idea of reprising their roles in the film franchise. The insider said: "Harrison is open to the idea of doing the movie and he's upbeat about it, all three of them [Ford, Mark Hamill and Carrie Fisher] are." However, Harrison has previously expressed disdain for his alter-ego, saying: "As a character, he was not so interesting to me." Last week, it was announced director George Lucas sold his production company LucasFilm to Disney for $4.05 billion (£2.52 billion) and the entertainment multinational is now planning to make three more instalments: 'Star Wars Episode VII', 'VIII' and 'IX'. In a statement George said: "For the past 35 years, one of my greatest pleasures has been to see 'Star Wars' passed from one generation to the next.